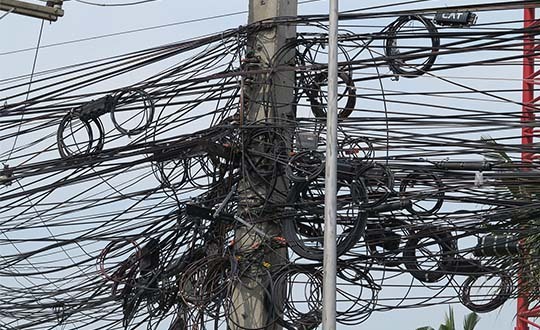 Lots of places in the world electrical wiring can be a confusing chaos, a mad cobweb of wires going in every direction at once. 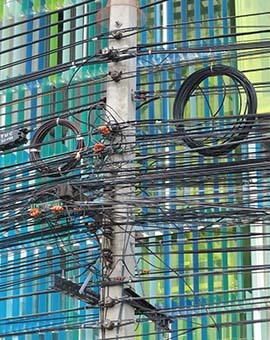 ◄ In Thailand this week I saw lots of wiring which was certainly chaotic, but in a kind of chaotically organized fashion. 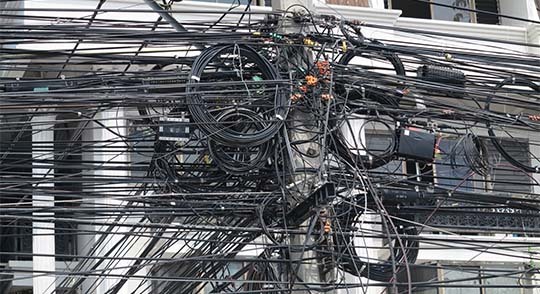 There was far too much of it, far too many lines all going in the same direction and with lots of connectors to connect lots of wires. ▲ But there was also a feeling of organization, all those loops were clearly intended to go somewhere else at some point in the future. ▲ Or perhaps not? This small selection was taken in Laem Chabang, midway between Pattaya and Bangsaen Beach, I was there to pick up a car for a long trip I’ll be setting out on soon.